Thank you for visiting the website for Stardust Cupcakes ! We provide bespoke hand-made cupcakes, individually decorated and suitable for any occasion - from boxes of 4 cupcakes to towers of 100 and more! 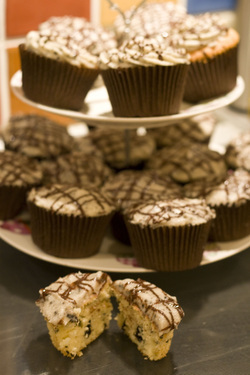 For up-to-date news, please visit my Facebook page, at http://www.facebook.com/stardustcupcakes . If you have any questions, please visit the 'Contact Me' page, or email me on stardust.cupcakes@gmail.com .